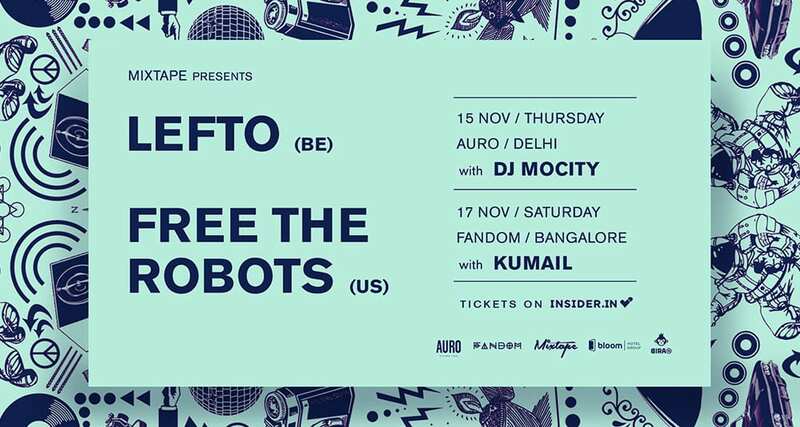 Lefto and Free The Robots made their India debut with headlining slots at the second edition of Disrupt in Mumbai and stand-alone shows in Delhi and Bangalore. Described by Fact! Magazine as “your favourite DJ’s favourite DJ” and voted best DJ in the Red Bull Belgium DJ Top 100 Category multiple times, Lefto has proven to be one of the most important tastemakers Europe has to offer. Free the Robots is a musician, beat maker/ DJ, known for his ability to jump in and out of other worlds, creating a unique signature sound that hints at electronic, hip hop, jazz and psych, while remaining un-genrefiable.